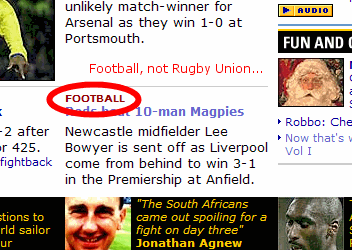 Here's a little test for you: I just took a screenshot (as they will probably fix it soon, also it will disappear into the archives) from the BBC Sport website. Do you notice the subtle but important mistake? 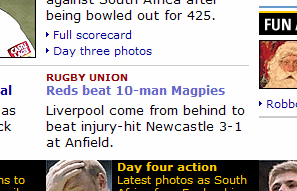 The match report doesn't suggest the game was too rough, although there was one red and possibly a few yellow cards.